The Banner was prepared when the Association changed its name from Halifax County United Baptist Association to Halifax Region United Baptist Association. We have two churches, Elmsdale and Uniacke, that are not in Halifax County and the desire was to have a name that was more inclusive. 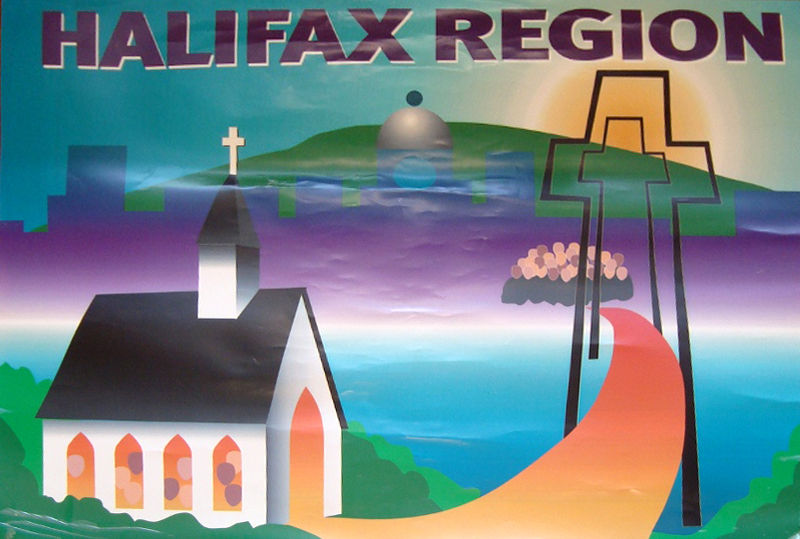 This happened more or less at the same time the HRM came into being but was not connected so much with that apart that we didn’t want to be Halifax Regional but Halifax Region. The Bridge is depicted in the Banner indicating the connection of the Churches on both sides of the Harbour, tying all the Churches together. The Cross represents the Association and our connectedness to Christ.